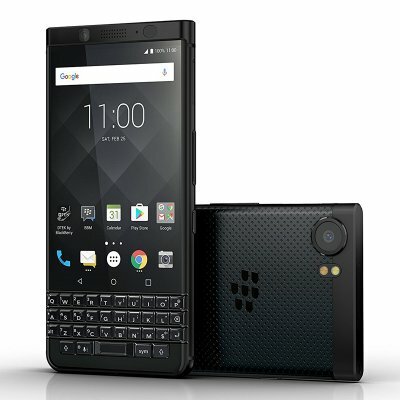 Successfully Added BlackBerry KEYone Phone - Qwerty Keyboard, Android 7.0, 4GB RAM, 64GB Storage, 4G, Security Featuers, 3505mAh Battery (Black) to your Shopping Cart. The Blackberry KEYone is the quintessential Blackberry phone. What makes this different from every other smartphone on the market is the physical keyboard, and while that may seem a bit aged the functionality it brings is awesome. This is a real winner for the business users and those who remember the original Blackberry Bold will be delighted to have a phone that you can actually type on. Yes, even if your fingers are wet or the screen has rainwater on you can still type away unimpaired. The keyboard can even be used as a trackpad to navigate through menus and move the cursor when working on documents. The phone has a 4.5-inch screen which while smaller than most smartphones is still very usable. At 1080P resolutions, you have a good viewing experience and the color renditions are really accurate. Thanks to the high brightness the screen won't be washed out when used outdoors on a sunny day. The hardware is a Snapdragon 625 CPU and 4GB of RAM which is more than enough for the business user and will ensure you can multitask in the Android 7.0 OS without any lag or stutters. A large 3505mAh battery and the power efficient setup means you can enjoy at least a full day of usage from this Android phone. And when you finally do need to charge the USB type C connection will get you powered up quickly. The BlackBerry Keyone Android phone comes with 12 months warranty, brought to you by the leader in electronic devices as well as wholesale smartphones and gadgets..